- 10 new items in the shop! - Small glitch: If a certain map is played, that player will always see that layout. Refreshing and entering the game again fixes this problem. Is that marge hair i see?? 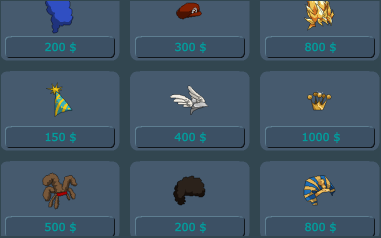 Mario hat and super saiyan hair?! OMG! Awesome items! MUST GET!